Stephen (second left) holding a ‘no smoking’ sign. 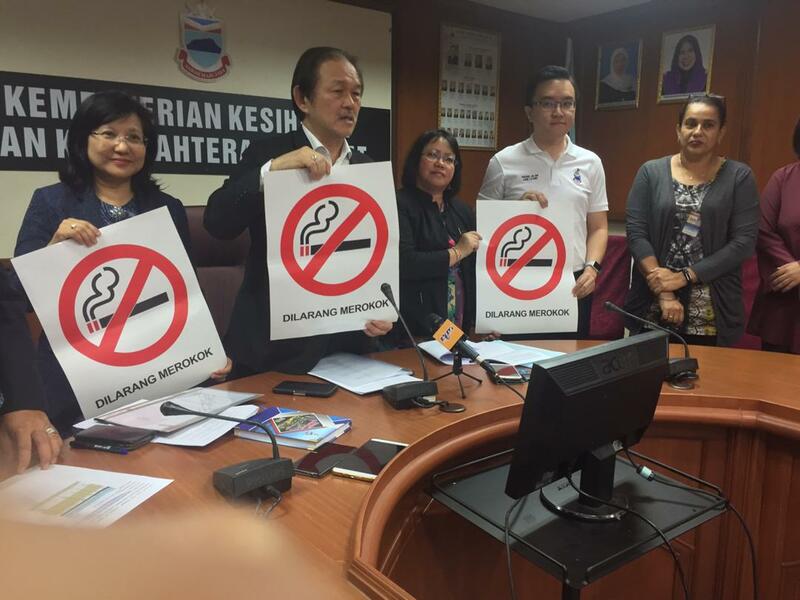 KOTA KINABALU: The State Government will enforce the nationwide smoking ban at public eateries in Sabah on February 1. Minister of Health and People’s Wellbeing Datuk Stephen Wong made the announcement today (January 9) following an earlier meeting, chaired by Chief Minister Datuk Seri Panglima Shafie Apdal on the same day. However, the ban, which is regulated under the Control of Tobacco Product Regulations (Amendments) 2018 will undergo an educational enforcement period from February 1 to June 30; no compounds will be given during this period.